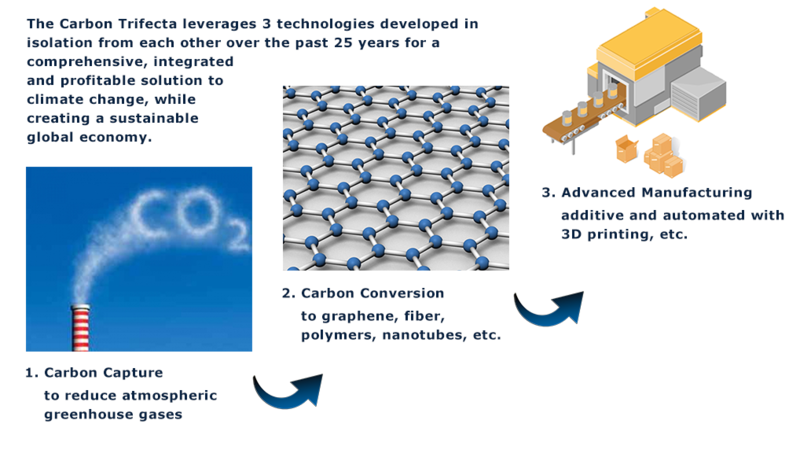 Convert greenhouse gases to various forms of carbon such as graphene, carbon nanotubes, carbon additives to various polymers, and calcium carbonate cement. Target carbon materials useful in large quantities in major industries such as construction concrete, 3D printing of polymers (plastics), and transportation manufacturing. estimated for all current clean energy and climate mitigation solutions. This is it.